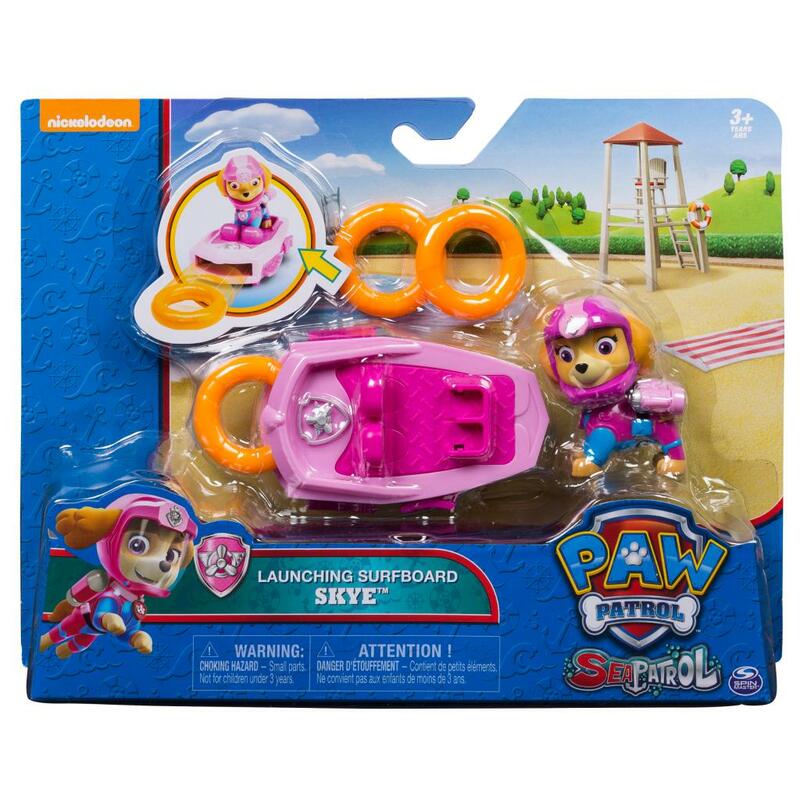 Bring all the action of Adventure Bay home with Skye’s Launching Surfboard! Wearing head-to-tail Sea Patrol gear, this pup is perched on her board and ready to catch some imaginary waves! 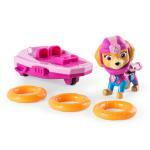 Always prepared for a ruff, ruff rescue, Skye’s surfboard features a life ring launcher. Load the life ring into the launcher, then press the side to shoot the ring and save the day! When you and Skye aren’t using the life ring, store it on the side of the board, or load it into the Sub Patroller’s launcher (sold separately). 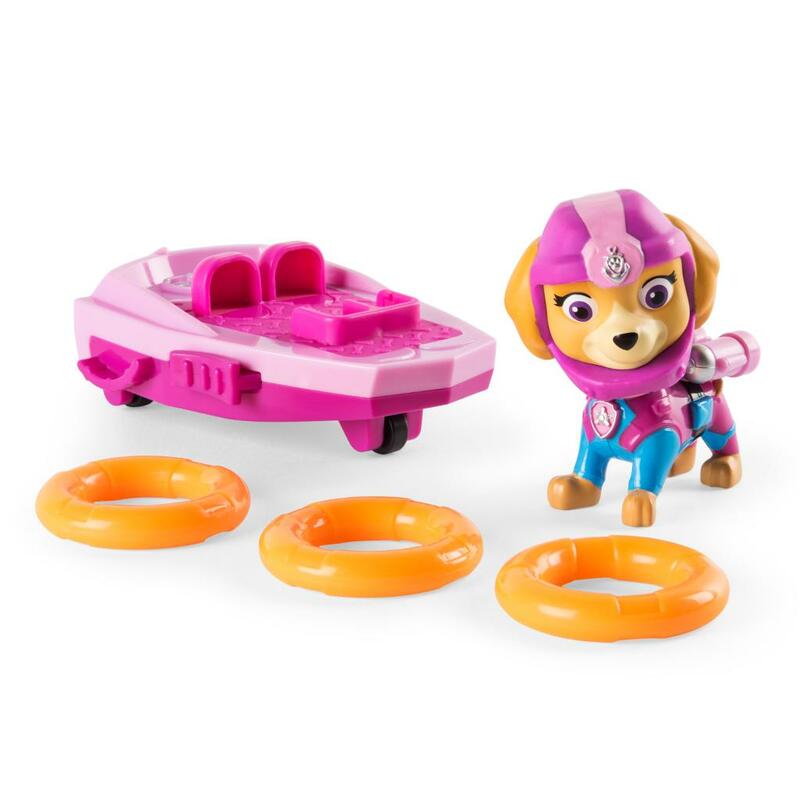 With Skye in hand, kids can let their imagination run wild as they create new rescues for their favorite pup. For an even more awesome adventure, collect all the members of the Sea Patrol, like Marshall, Rubble and Zuma! 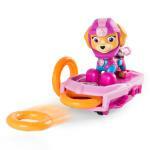 Explore Adventure Bay with Skye and her Launching Surfboard! Ride the waves of Adventure Bay on Skye’s Launching Surfboard! 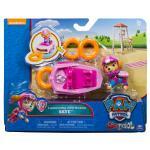 This official Sea Patrol toy comes with a life ring launcher, perfect for water rescues! Skye’s Launching Surfboard is made for kids aged 3+ and ready to surf Adventure Bay’s imaginary waves.